Let’s celebrate computer science together! 🎉 Our 15 to 20 minute webinars make it easy for students to learn about topics in computer science. 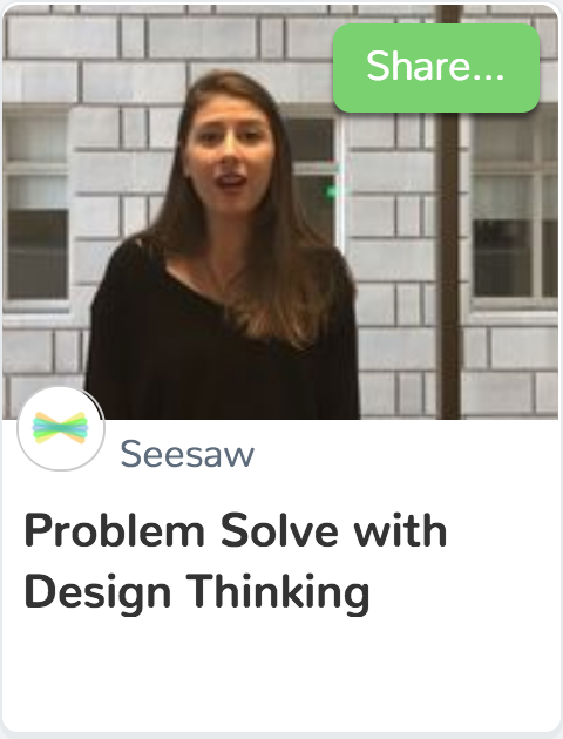 See and hear directly from the Seesaw Team about what we do every day — and discover the many possibilities in computer science for everyone! 🎥 Couldn’t catch us live? Watch a recording of a webinar that already aired. How Do You Build an App? Seesaw co-founders share how Seesaw started as an idea then grew into an app. Learn the basic steps involved in building an app! Join Emily and Tracy, Product Manager and Designer, for an inside view of how features are built, tested, and revised using Design Thinking. A behind the scenes peek at Seesaw and types of jobs found at a startup. See how everyone works together and hear answers to students' questions! Meet the awesome women who code at Seesaw! Hear about their experiences working in tech and get helpful #girlswhocode resources. Students can put what they learn into practice — and even leave a mark on the whole Seesaw community. Check out what’s new in Seesaw’s Activity Library! Follow @Seesaw on Twitter and join Seesaw Teachers on Facebook.